For the past two years well-known natural hair company Mixed Chicks has been in an ongoing legal battle with Sally Beauty company. 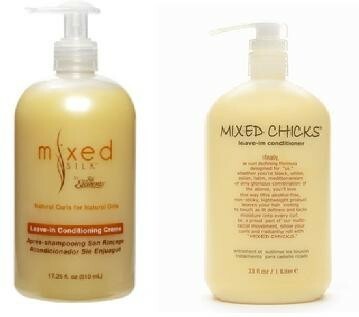 Mixed Chicks had filed a lawsuit against the national beauty supply chain in March 2011, for selling a product called “Mixed Silk” at their over 2,000 locations. The plaintiffs felt that the overall appearance of the Mixed Silk product line infringed on their trademarked labeling due to similarities. The trio will also be seeking additional funds for attorney’s fees, a portion of Sally Beauty’s profits of Mixed Silk products and an order to ban the selling of Mixed Silk products. Sally’s beauty supply no longer has a link to there product and when we called they would not answer any questions about the Victory lawsuit Mixed Chicks had with them. Mixed Silk’s packaging is strikingly similar to that of Mixed Chicks. The pump top on the shampoo & leave-in conditioner is quite convenient for shower use. Silk Elements should have adopted the same design for the deep conditioner; opening and closing it while in the shower is a little time consuming. All of the products have the same strong manufactured fragrant smell. So lady’s and gentlemen you have read it all. Another scum bag company playing and stealing off a entrepreneurs idea. And who needs manufacturers like that in our beauty industry. Of course you will see them at the hair shows and think twice of the hard work a entrepreneur within our industry has to go through to get there product out to the consumer. Next Post THE SMARTPHONE OF HAIRCOLOR IS HERE….COURTESY OF B’ORÉAL OF PARIS.